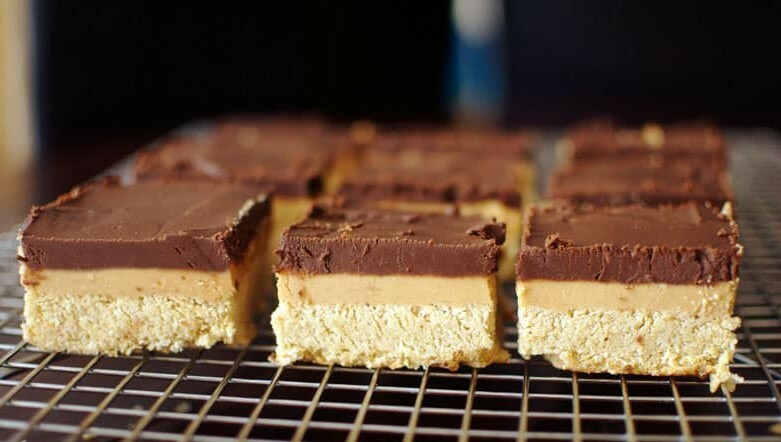 SKIPPY® is taking the perfect pair of chocolate and peanut butter to a whole other level with this recipe for Chocolate Graham Bars! Our friends at SKIPPY® are taking the perfect pair (chocolate and peanut butter) to a whole other level. Say hello to SKIPPY® Chocolate Graham Bars! Spread dough into a greased 9×9″ glass baking dish. Bake 20 minutes at 350°F, or until lightly golden on top. Allow to cool.